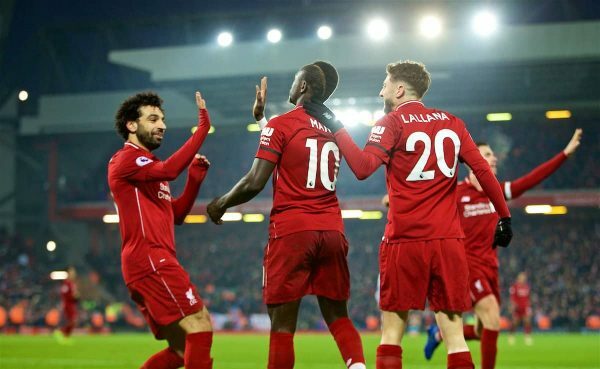 Liverpool’s approach this season, and its influence on their Premier League title hopes, bears a striking comparison with rivals Man United, writes Richard Jolly. It is the mirror image no one likes. The fiercest of rivals can sometimes resemble one another. And while Jurgen Klopp’s class of 2019 could relish comparisons with Liverpool’s 18 league title-winning teams, the greater similarity may lie with a side who denied them a 19th. Klopp’s Reds have already beaten United this season. They are mimicking them, too. Not Jose Mourinho’s incoherent, unhappy underachievers or Ole Gunnar Solskjaer’s stress-free nostalgia project, but the team of a decade ago. The Anfield faithful may have particular reason to dislike that group: they prevented arguably the best Liverpool team of the last three decades from becoming champions. Rafa Benitez’s side won the battles in 2008/09, but lost the war. They overcame United at Anfield and eviscerated them 4-1 at Old Trafford. They finished with a flourish, in a way Brendan Rodgers’ challengers five years later threatened to emulate, winning 11 of their last 12 games. They were the top scorers. Liverpool’s was the more entertaining journey. United took the more prosaic path to glory. Like Klopp’s Liverpool against Crystal Palace on Saturday, they registered one 4-3 win, against Phil Brown’s Hull. Yet those extravaganzas were the exceptions, rather than the rule. United recorded the best defensive record, letting in only 24 goals. Now Liverpool, despite Palace’s trio, are still only course to concede 21. Most remarkably, United went 14 consecutive games in winter without conceding. Clean sheets underpinned their success, in a way they promise to do for Liverpool. Like Liverpool now, they had an outstanding goalkeeper. But, in echoes of Alisson now, Edwin van der Sar was not often required because of the excellence of those in front of him. Eighteen goalkeepers made more saves than the Dutchman that season; his nomination for the PFA Player of the Year award felt a symbolic recognition of a whole defence. But if Nemanja Vidic was the outstanding centre-back in the division a decade ago, it is now Virgil van Dijk; if Patrice Evra was the best left-back, Andy Robertson now is. It is a season that may be remembered for Federico Macheda’s two dramatic spring winners. They suited the stereotype of Sir Alex Ferguson’s United, indelibly associated with attacking football, a never-say-die spirit and substitutes scoring in comeback wins. Yet, and while Macheda’s goals bear comparison with Divock Origi’s Merseyside derby decider, they were the anomalies in that campaign: United prospered in part because of their adeptness at stripping games of drama. It was the sole year when they had the quartet of Cristiano Ronaldo, Wayne Rooney, Carlos Tevez and Dimitar Berbatov, but the cast list feels deceptive: all bar Rooney actually scored more goals in 2007/08, the Bulgarian for Tottenham. Fast-forward a decade and the same may be true of Mohamed Salah, Roberto Firmino and Sadio Mane, who contributed a combined 91 last season. 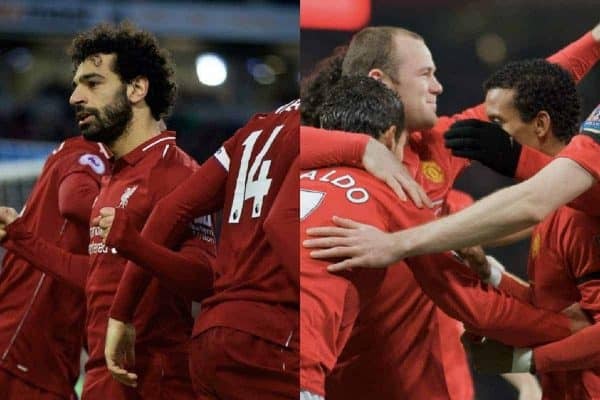 Salah’s 44-goal haul drew understandable comparisons to Ronaldo’s 42-goal breakthrough campaign. This year may have more in common with the sequel (albeit, presumably, without it ending with a move to Real Madrid): Ronaldo scored 26 times then, a total Salah is on course to top. Yet in each case, it was not so much about quantity as the significance of strikes. It is about efficiency. It scarcely used to be a defining characteristic of Klopp’s team—not when Liverpool went unbeaten against the top six in 2016/17 but lost to Burnley, Bournemouth, Swansea, Hull and Palace. Yet now they have undergone an identity shift. 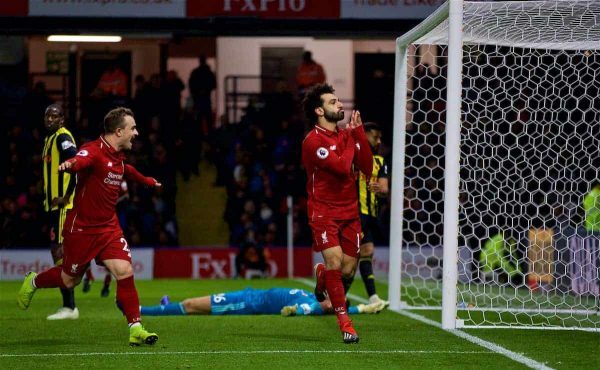 The games which felt at once both most typical and most uncharacteristic were Saturday’s anarchic second half against Palace and the 5-1 demolition of Arsenal, a frenetic free-for-all that brought back memories of Klopp’s first two seasons. And while Liverpool have recorded other notable wins, away at Tottenham and home to United, they have been the ultimate small-game team. If that sounds a criticism, it is not: Liverpool are yet to drop points against any of the bottom 15. Ten years ago, Ferguson’s United took 70 points from a possible 72 against the bottom 12; that record is even more remarkable because, after an opening draw with Newcastle, it was 69 from 69. That United side only mustered 20 points from a possible 42 against the top seven. Now, with the probability that more than 90 will be needed, Liverpool may have less margin for error. Yet rewind a few months and the widespread assumption was that they would need to take at least four points against Man City to depose them as champions. Instead they have one and a lead in the standings. The defining results in the title race may prove to be City’s defeats to Palace and Leicester just as, 10 years earlier, perhaps they were Liverpool’s Anfield draws with Stoke, Fulham, West Ham and a lesser City side. 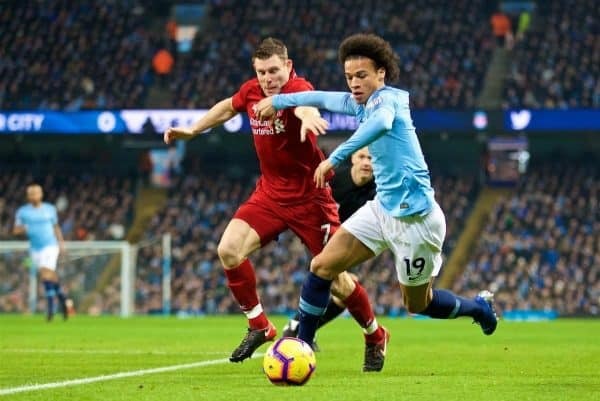 Liverpool’s trip to the Etihad brought a brilliant game and required a superb performance from Pep Guardiola’s side, plus perhaps a hint of fortune, to defeat them. Yet in the final reckoning, it may prove as irrelevant as Benitez’s Old Trafford masterclass; certainly Liverpool will hope so. There are different ways of winning the league. 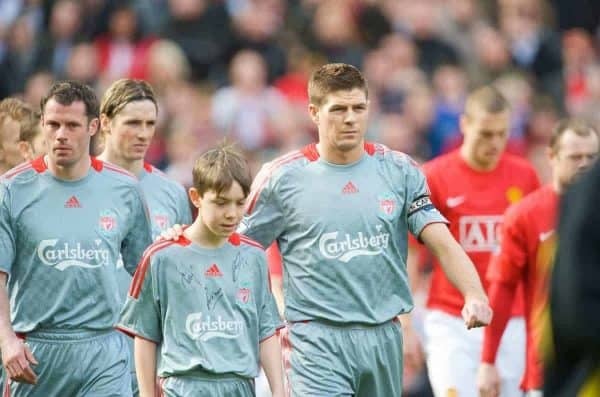 Nine years ago, Ferguson’s United were overthrown by Carlo Ancelotti’s Chelsea after the Londoners won home and away against each of the ‘big four’, in the days when the phrase was rather more common. Liverpool need no reminders of the May day 30 years ago when the top two met in the season’s final game. Perhaps the irony was that George Graham, the ultimate miser, triumphed in such improbable, unforgettable fashion. 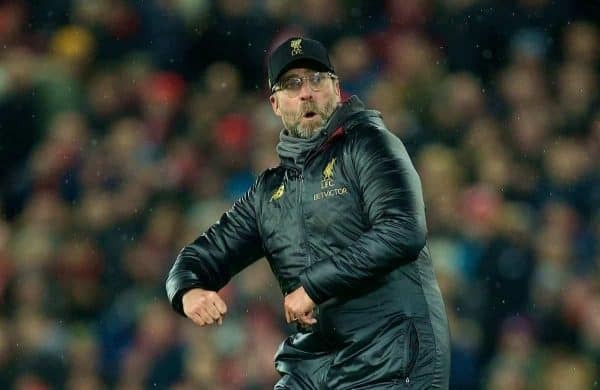 In contrast, the ebullient, excitable Klopp may be a byword for entertainment but seems to be taking the most logical route possible, beating the lesser sides with relentless reliability, using a risk-free formula based upon preventing most inferior sides from scoring, but given a gloss by superstar attackers. United may have imagined that it was part of Ferguson’s blueprint that a pragmatist like Mourinho could recreate. Instead, Klopp looks Ferguson’s unlikely heir. In one respect, anyway.